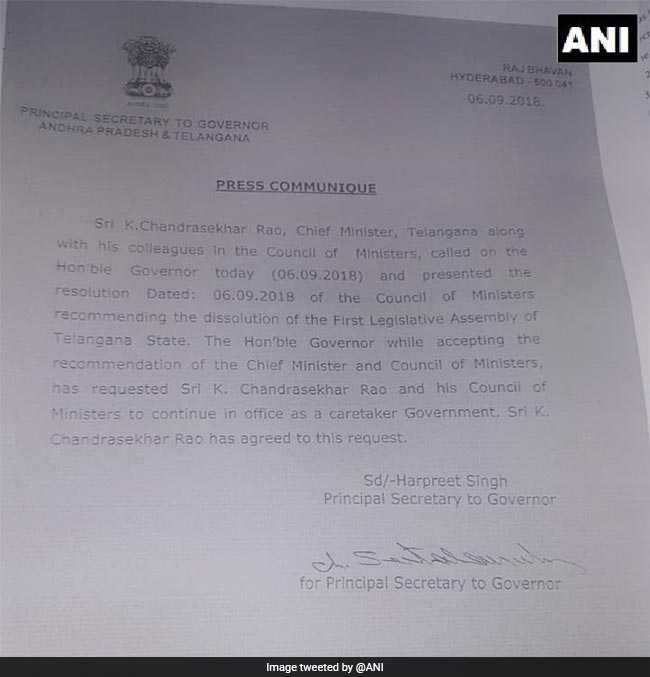 The term of the Telugu Rashtra Samiti (TRS) government is till May 2019, and elections, as per schedule, should happen along with Lok Sabha elections. Telangana Chief Minister K Chandrashekar Rao announced the dissolution of the Telangana assembly to clear the decks for early polls. On Sunday, amid speculation about an announcement during the 'mother of all rallies' in Ranga Reddy district, the chief minister had said that his party has empowered him to take a decision on early elections - his latest hint on the issue. "I will take a decision soon (on assembly dissolution) and then announce what I will do if TRS is elected again," he said before launching into the government's achievements and welfare measures in what was virtually a poll pitch. The term of the Telugu Rashtra Samiti (TRS) government wass till May 2019, and elections, as per schedule, would have happened along with Lok Sabha elections. 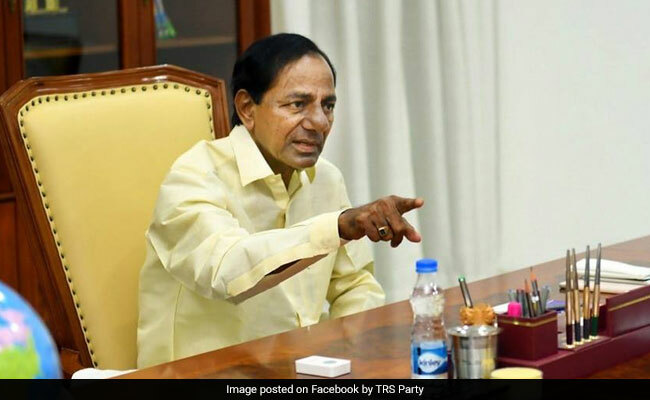 Chief Minister KCR last weekend had gone to Delhi and met Prime Minister Narendra Modi, Home Minister Rajnath Singh and others, triggering speculation that he had discussed early elections in the state. Telangana Chief Minister K Chandrasekhara Rao launched a trenchant attack on Rahul Gandhi, describing him as the "biggest buffoon in the country" while speaking to reporters today. Opposition parties on Thursday hit out at Telangana Chief Minister K Chandrasekhar Rao for the early elections move. They charged him with indulging in "obfuscation politics". Telangana Chief Minister K Chandrasekhara Rao announces candidates for 105 assembly constituencies of the total 119 in Telangana. "Telangana people are happy that they have got rid of a despotic and autocratic rule," Telangana's Congress chief Uttam Kumar Reddy said, adding that his party "will sweep the polls." 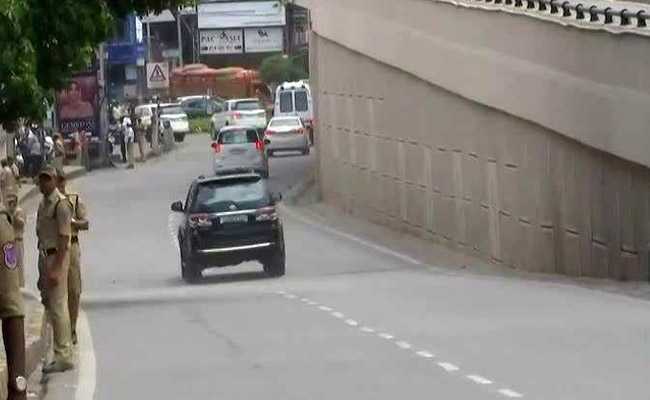 In an exclusive interview to NDTV, a senior Telangana Rashtra Samiti leader said the decision to dissolve the assembly was guided by political reasons and KCR saw advantage in not being pitted against Prime Minister Narendra Modi and Congress president Rahul Gandhi. 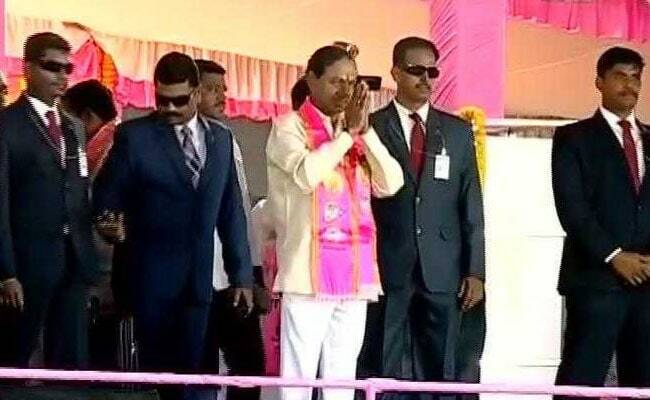 "We can go with strength to face Lok Sabha polls once we do well in state polls," senior KCR leader Keshav Rao said, speaking to NDTV.